... And rates for our themed tours, on request. For any questions or informations, please join us. We will do our best to contact you within 24 hours, even in high season. We will help you to organize a specially tailored program of guided tours. We take care of your customers, directly from their hotels, from the NICE Airport or any port of call on the FRENCH RIVIERA. AND MOST OF ALL !!!! Half day tour. The visit of the Maeght Foudation, meeting place of artists and art lovers, offers the opportunity which is quite unique on the French Riviera to get a synthetic vision of modern art. Situated in an exceptional setting, it is a museum amidst nature. The gardens with sculptures by Calder, Giacometti, Miro etc… are in communion with the interior where a permanent collection introduces one to the work of major artists of the middle 20th century such as Miro, Chagall, Leger and many others. Every year during the summer, the Maeght Foundation organizes a temporary exhibit dedicated to an artist or on a specific theme. 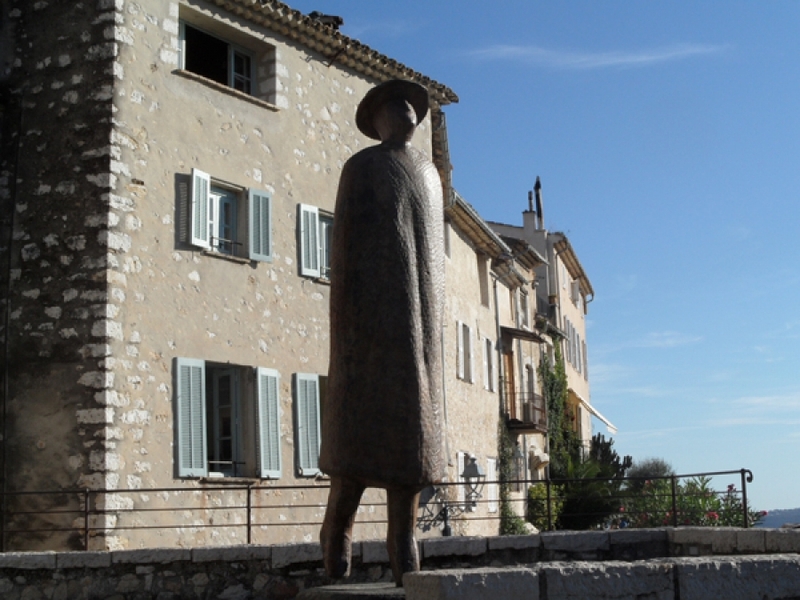 THE MAEGHT FOUNDATION is situated in the countryside of SAINT-PAUL, which is one of the most visited villages of France. It is still surrounded with walls dating back to the 16th century and a visit to this former border town is always a fascinating experience. The visitors enjoy strolling through its narrow streets lined with art galleries and artisan workshops.